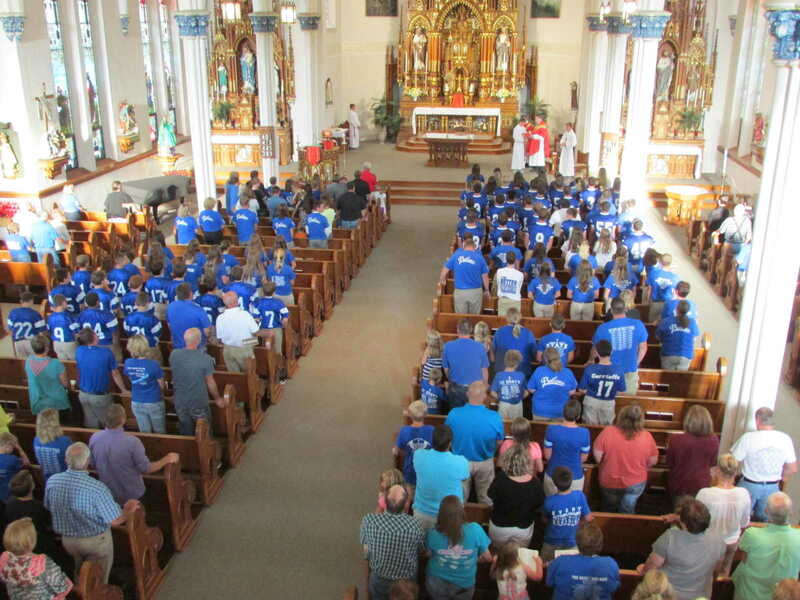 Football, volleyball and cross country teams grouped together at the Mass and contributed to the sea of blue, along with teachers and staff in their school theme shirts. 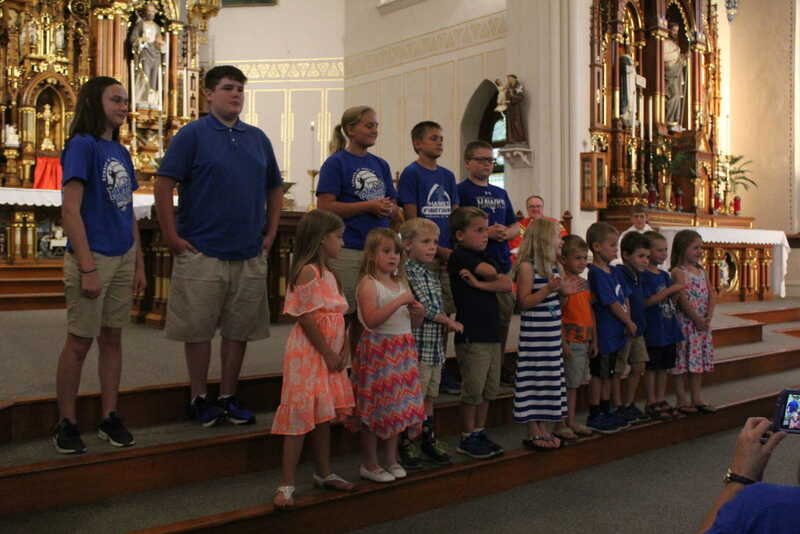 The 6:30 evening Mass was well attended. After Mass was also the school board election. Congratulations to Cindy Harpenau and Rick Loutsch, who are the new RSM school board members. 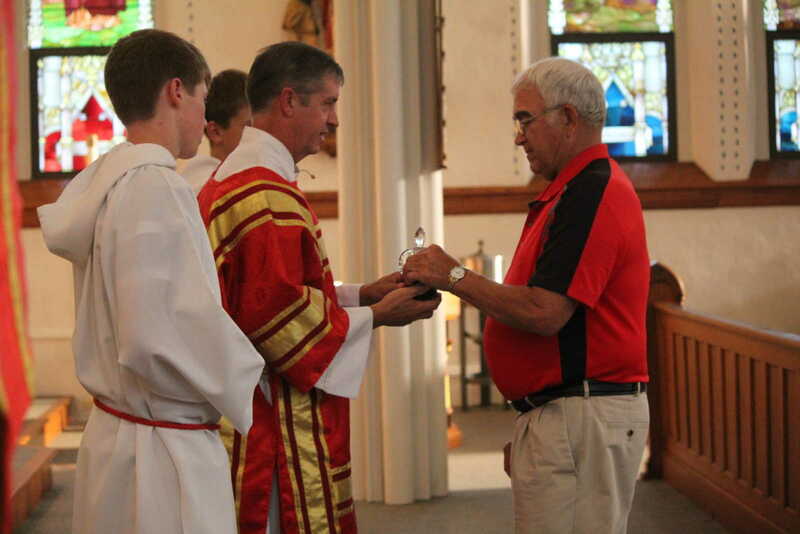 Max Treinen was offertory gift bearer. Max was the highest bidder at the Friends of St. MaryÃ¢â‚¬â„¢s Ball and chose to name the gym in memory of his wife. For this year, the RSM gym will be the Sue Treinen Memorial Gym. 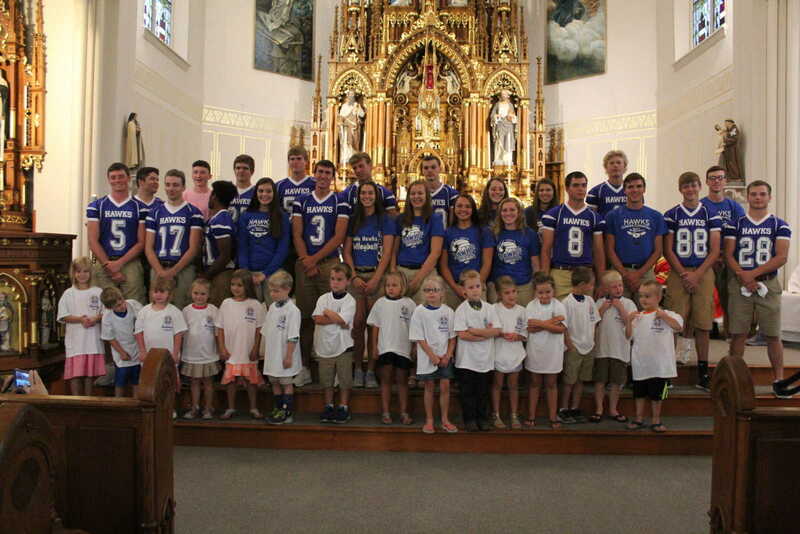 New students, preschool through eighth grade who were present, were introduced to the RSM school family. New teachers were also introduced. 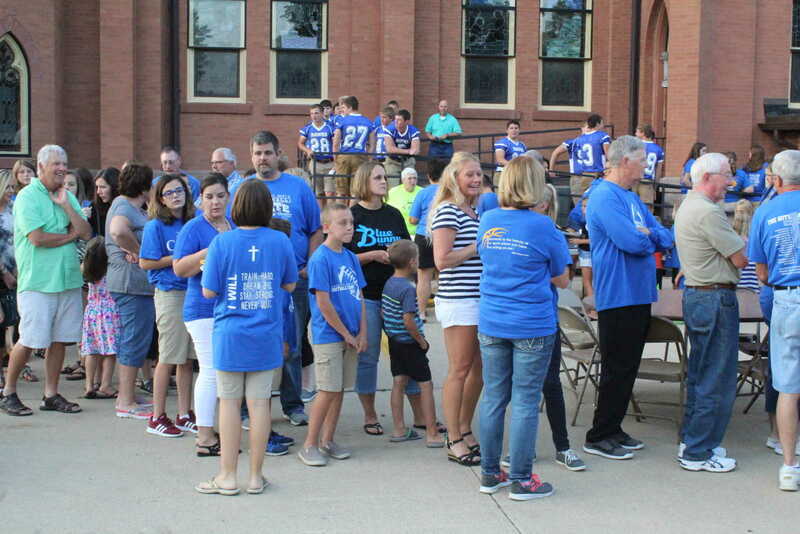 The school board members served square burgers, chips and a drink along with bars and cookies provided by the Christian Leadership Team and the school board. There was lots of visiting and social time as a large crowd of parents, grandparents, faculty/staff, students, and supporters waited in the two serving lines. 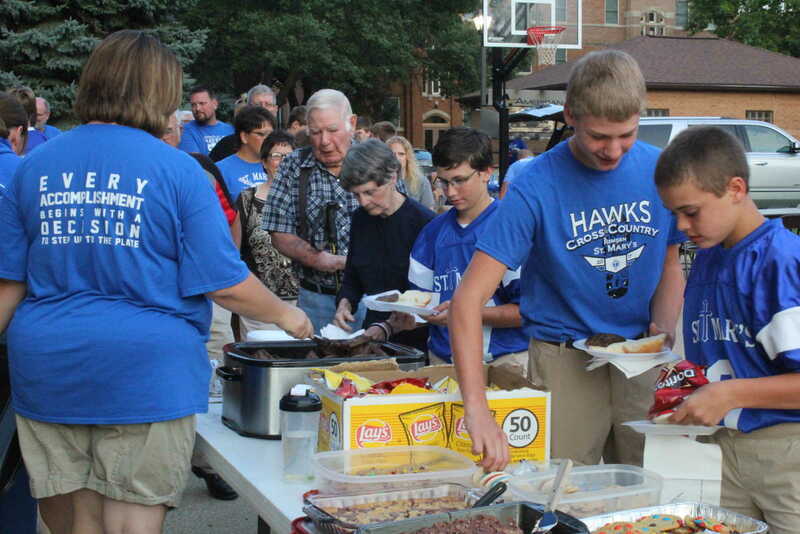 The social time lasted until dark, when once more the church parking lot was quiet again. 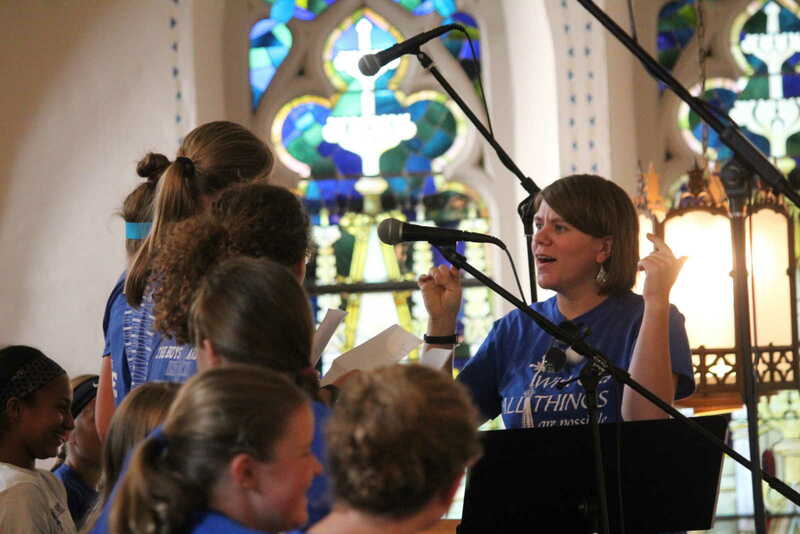 Band and vocal director, Steph Niewohner, guides sixth grade students in the recitation of the psalms. 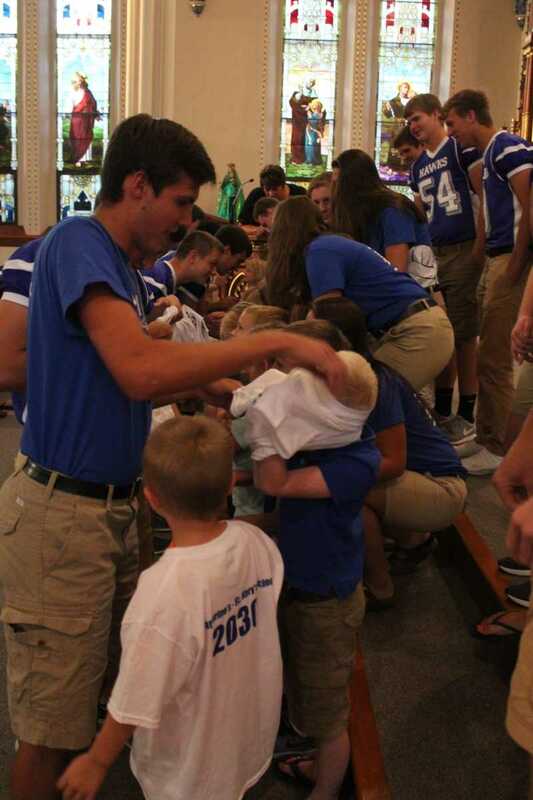 Wyatt Staab struggles with his kindergarten buddyÃ¢â‚¬â„¢s Ã¢â‚¬Å“Future 2030 graduateÃ¢â‚¬Â� t-shirt.